Virgin White Tea is a Labour of Love!!! An ancient Chinese tradition lost in the sands of time for over 4000 years, where the Chinese Emperor employed virgins wearing soft silky gloves to cut the tea leaves with gold scissors into a golden bowl. The leaves, with the help of the divine wind, were dried naturally until ready to store. It was a drink exclusively served in the Imperial court and was, even then, considered particularly beneficial to health.Virgin White Tea is the rarest type of white tea, completely untouched by humans from the tea bush to production and until it reaches the lips of the consumer. 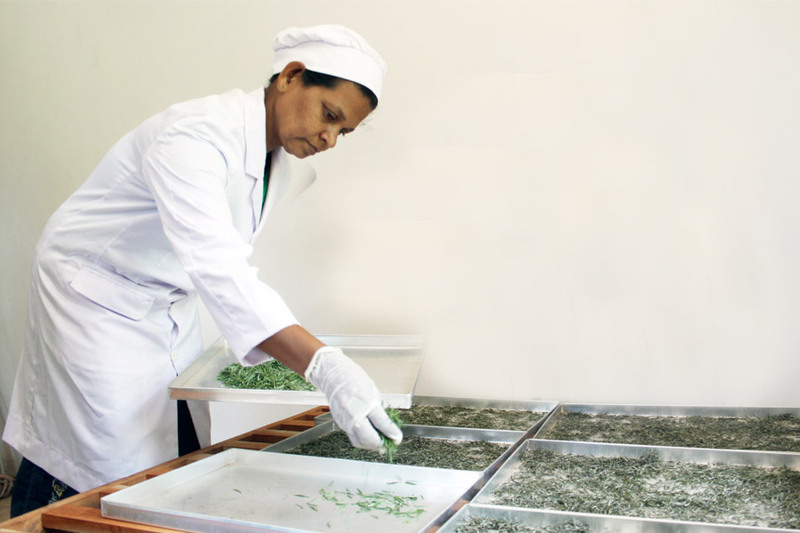 This tea is Rich with antioxidants and is passionately handcrafted for a unique tea experience. 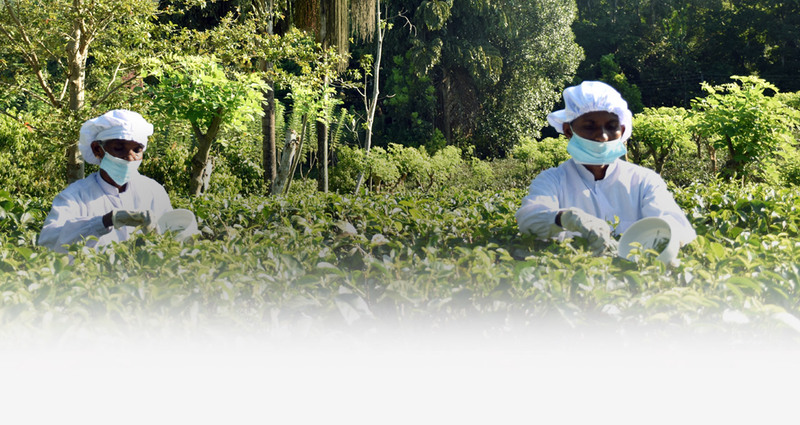 Nestled between an evergreen rainforest and the vast blue Indian Ocean is the Handunugoda Tea Estate where Herman’s Virgin White Tea is manufactured, following the Chinese legend of making Virgin White Tea keeping in with the imperial tradition of “Never touched by a Human”. 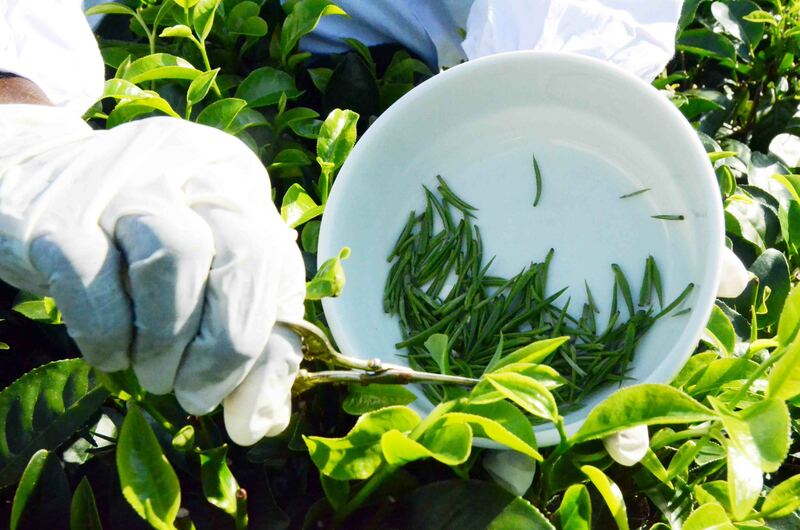 At dawn women wearing delicate gloves, fine pluck the imperial harvest with golden scissors, taking care not to harm the delicate tea buds and at no moment does the hands of the pluckers touch these buds.Thereafter these buds are dried using only filtered sunlight.The gloves prevent any risk of contamination leaving the tea immaculate. The White Tea bush is unremarkable. The only difference, at a quick glance, is that it’s darker in color than its close relatives: nothing in fact really makes it stand out in a plantation of mixed tea bushes. However, the real difference comes when you consider the standard tea-plucker on a tea plantation, could collect an average of 30kg on a good day, whereas a specialized Virgin White Tea plucker would meticulously collects only 160g per plucking on a good day.Thankfully, one teaspoon of this extraordinary tea can make at least three to four cups of exquisite white tea! The flavor of Virgin White Tea is as prized as it is elusive. From brewing to tasting, this supremely delicate tea is an experience that should be enjoyed with all your senses. Herman Teas offers a variety of exquisite white teas from Gourmet White Tea to Signature Virgin White Tea for your pleasure. A lab analysis done by SGS of Switzerland reveals that ‘Herman Virgin White’ has an anti-oxidant content of 10.11%, which is said to be the highest naturally occurring content of anti-oxidants in any beverage. “Mariage Frères International” one of the world’s most exclusive Tea Salons situated at Faubourg Saint-Honore in Central Paris Is currently the only Tea Salon to stock Herman Virgin White tea. At dawn as the first rays of sunlight shine through the tea garden, the unopened buds are picked by damsels, from selected tea bushes of a particular variety. The carefully plucked tea buds are placed in silken pouches to avoid any possible damage to them. The tea buds are spread over black flannel surfaced trays and sun-dried under filtered light. 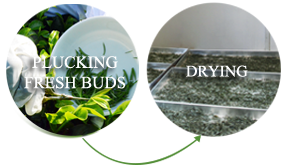 The tender bud is never exposed to direct sunlight. 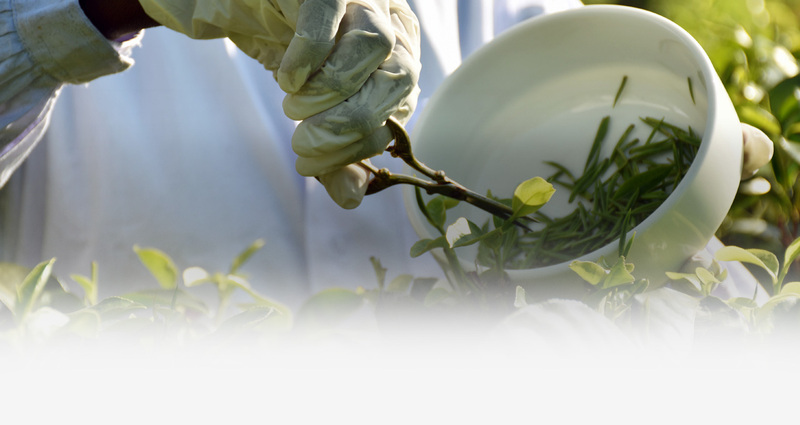 When the bud is dried to perfection the tea is delicately packed by workers wearing soft gloves and is unique to our virgin white tea manufacturing process.